Shop owners that are based in Europe can offer their customers to use Bancontact as a payment method. 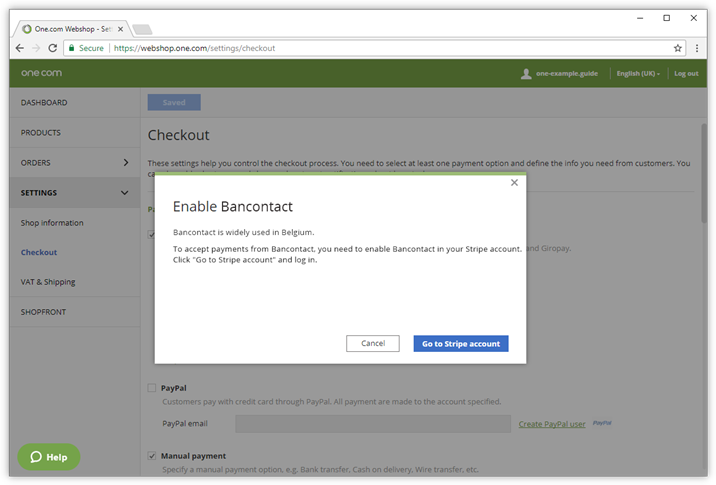 Bancontact is a popular payment system in Belgium. 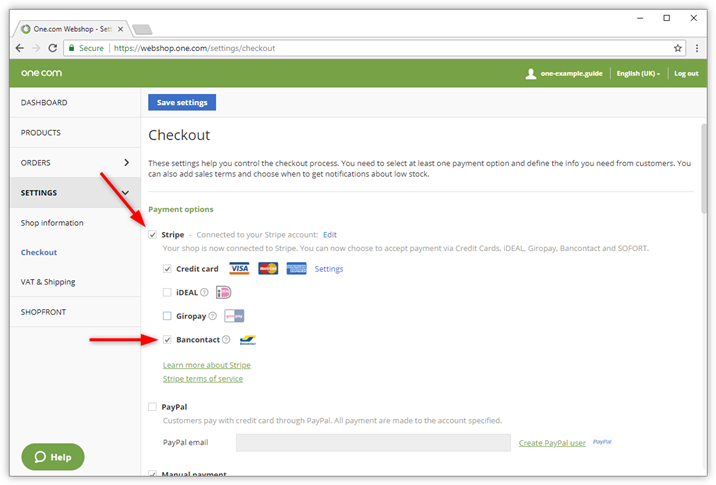 Note: Before you can enable Bancontact as a payment method in your online shop, you need to create a Stripe account and connect it to your online shop. 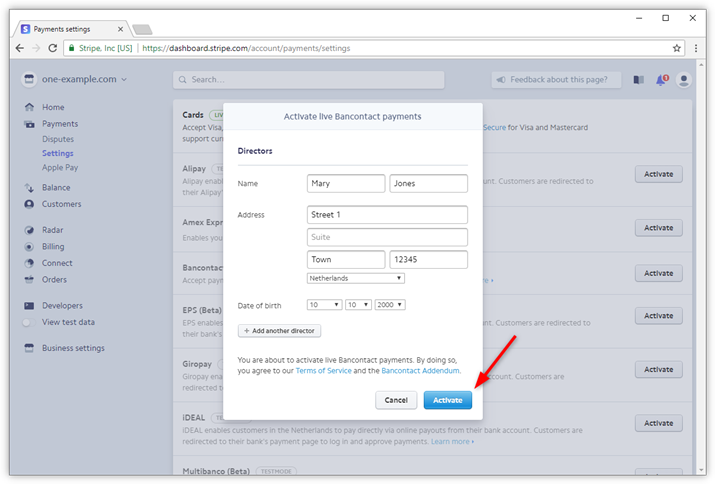 To start, you need to enable Bancontact in your online shop. Check the box for Bancontact. 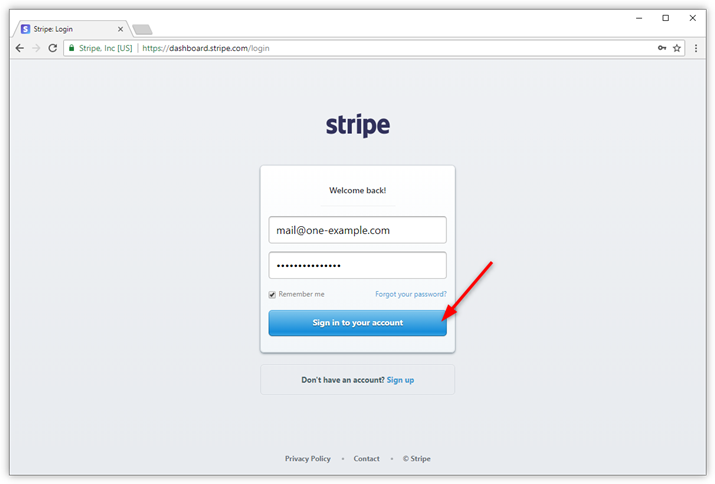 You will now be redirected to your Stripe account, where you need to activate Bancontact. Click Activate to confirm activation and to agree to Stripe's terms of service and the Bancontact addendum. 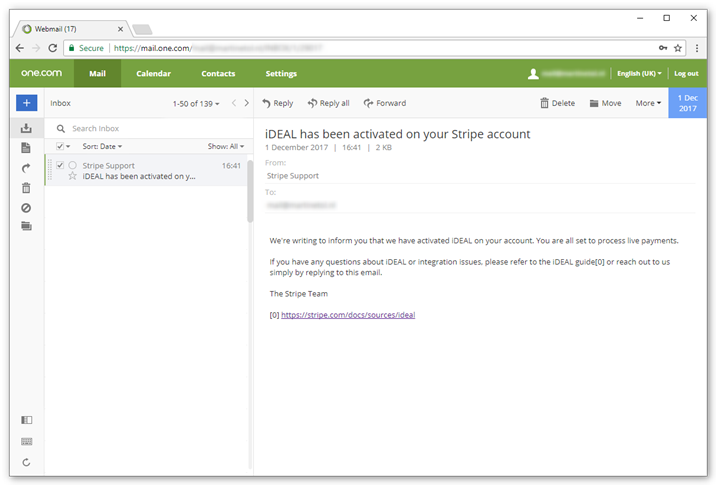 Stripe will notify you via email as soon as Bancontact has been activated. This may take up to 30 minutes. Please contact Stripe support if Bancontact doesn't go "Live". 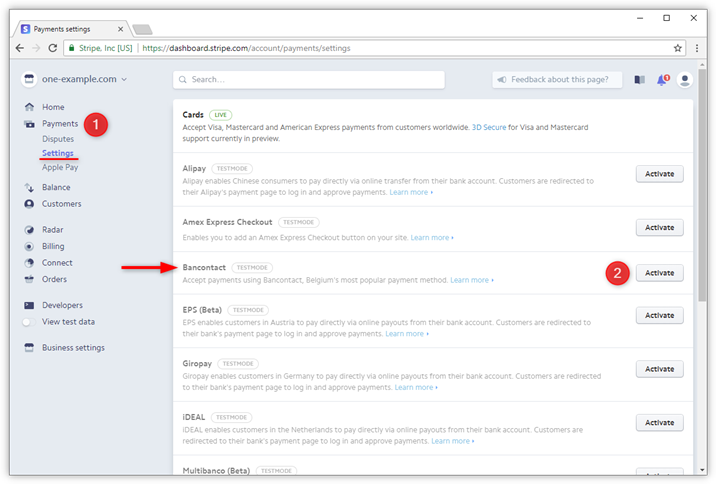 Note: As soon as Bancontact has been activated in Stripe, it will be available as a payment method in your online shop. If you want to disable Bancontact again in the future, you can simply uncheck the box under Settings in your online shop administration.